I realise this offer isn’t likely to be enough to get folks from the UK and the US hitting the Internet and browsing for cheap flights to Tenerife…but for full or part time residents of Tenerife and the Canary Islands, it’s a chance at a fabulous weekend break not to be missed. 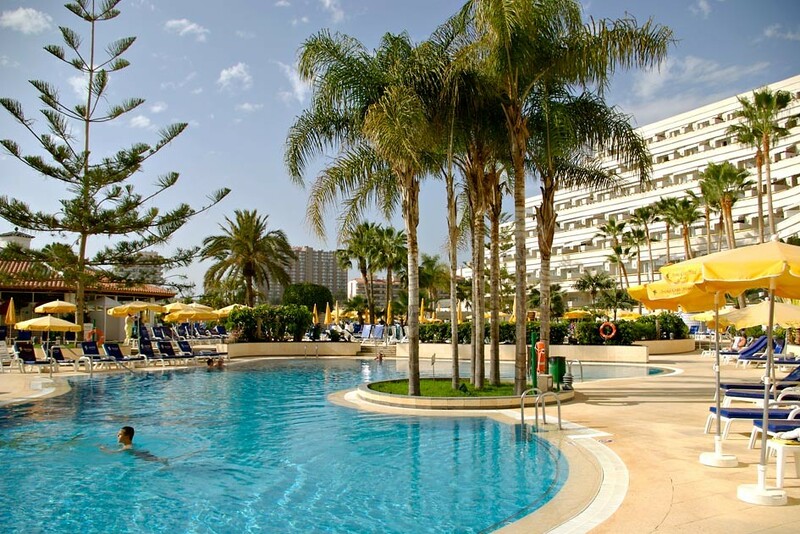 The aristocratic Arona Gran Hotel in Los Cristianos is giving away a FREE weekend in this month’s Tenerife Magazine competition and all you have to do for a chance to win is to hit that little ‘like’ icon on the Tenerife Magazine Facebook page. For anyone who enjoys excellent food, lying around some rather splendid swimming pools and chilling on a sun-soaked balcony with sunset views over to La Gomera, the Spring Arona Gran beckons. From the moment you walk into its marble-pillared atrium lobby filled with tropical plants and trailing vines, shoulders ease and breathing deepens. But the wow factor doesn’t end at the amazing lobby; heading outside where you’ll find three beautiful freeform swimming pools surrounded by palm tree-studded sunbathing terraces just crying out for a prone body, a bottle of factor 25 and a good novel. And just to make sure that everything is going to be in tip top condition for our lucky winner, I’m going to be spending this weekend checking out the Arona Gran Hotel and all it has to offer. I would say “it’s dirty work but…blah…blah” but it clearly isn’t!